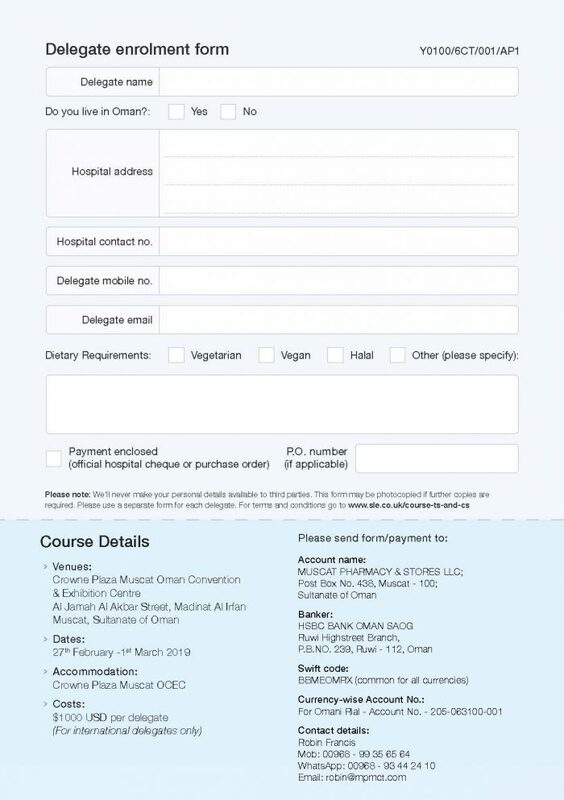 Next week SLE will be sponsoring a specialised neonatal ventilation workshop in Muscat, Oman in partnership with our local distributors Muscat Pharmacy & Stores LLC. 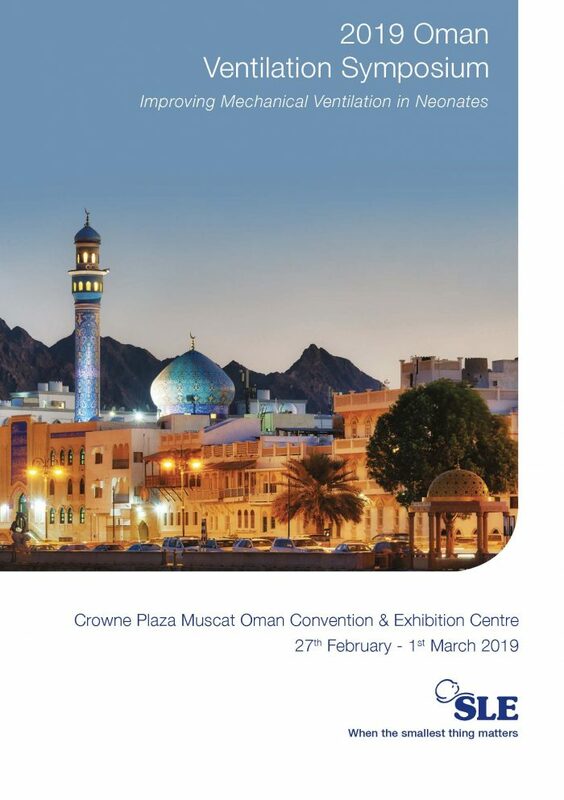 The course is taking place at the Crowne Plaza Muscat Oman Convention Centre from the 27th February – 1st March 2019. Professor Peter Rimensberger is the Director of the Paediatric & Neonatal ICU at the University Hospital of Geneva. He is a specialist in clinical pathology and mechanical ventilation in infants and children. 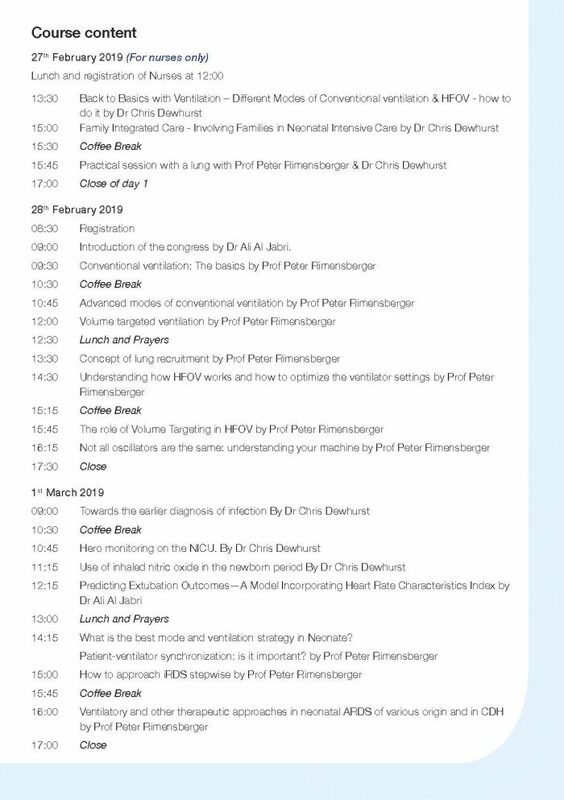 He has an enormous amount of experience to share; having a significant body of work published covering various aspects of mechanical ventilation, lung recruitment and lung protective strategies, as well as other aspects of Paediatric and Neonatal Intensive Care. Dr. Chris Dewhurst graduated from the University of Liverpool before initially training in paediatrics in the Cheshire and Mersey region. He was appointed as a Consultant Neonatologist following subspecialty training in neonatal medicine in Greater Manchester and Liverpool. MD, DCH, ABMS, Fellowship in clinical research in Neonatal Respiratory Medicine, Head of Neonatology Unit, Royal Hospital, Muscat, Oman. 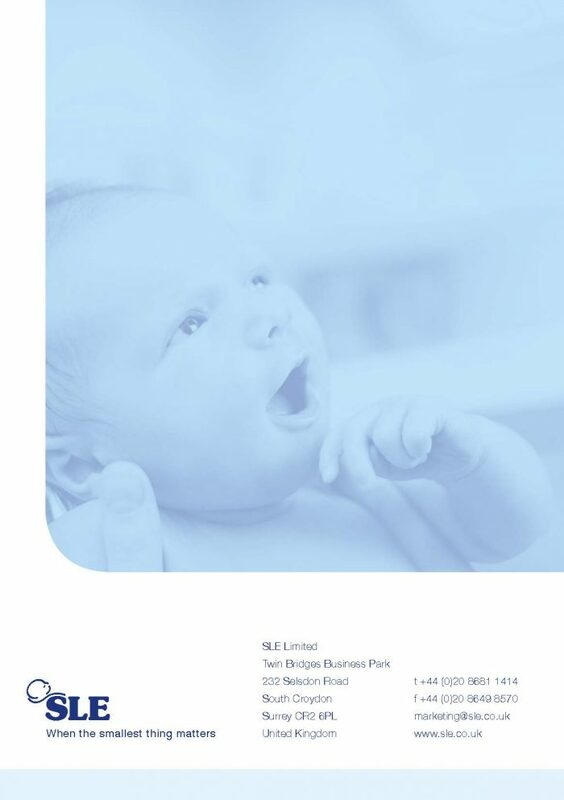 SLE has been actively involved in ventilation for over thirty years, and has made a commitment to the ongoing education of all of our customers in the latest ventilation strategies and techniques. 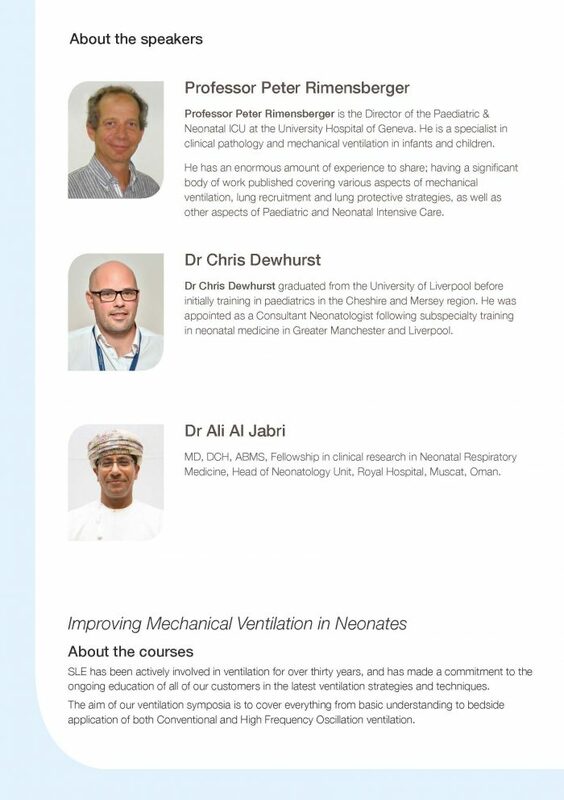 Our unique courses aim to provide an understanding of bedside application of Lung Protective Conventional and High Frequency Oscillation ventilation in the NICU, and are part of the specialist training we offer to neonatal clinicians and nurses across the globe.